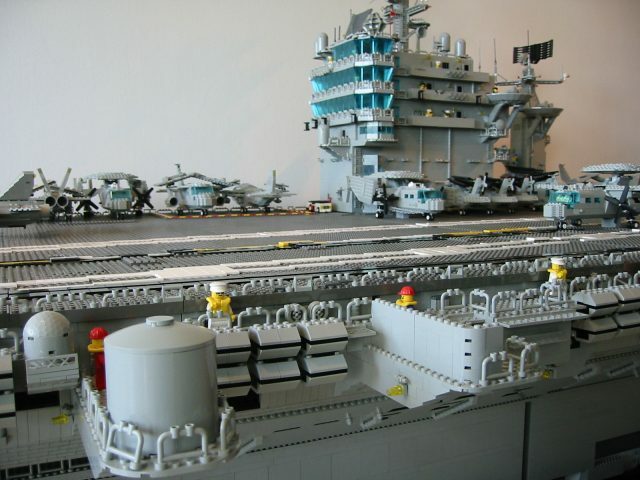 German builder Malle Hawking (Weebleleezer on Brickshelf) has been working on a minifigure-scale LEGO model of the US Navy aircraft carrier Harry S. Truman (CVN-75). 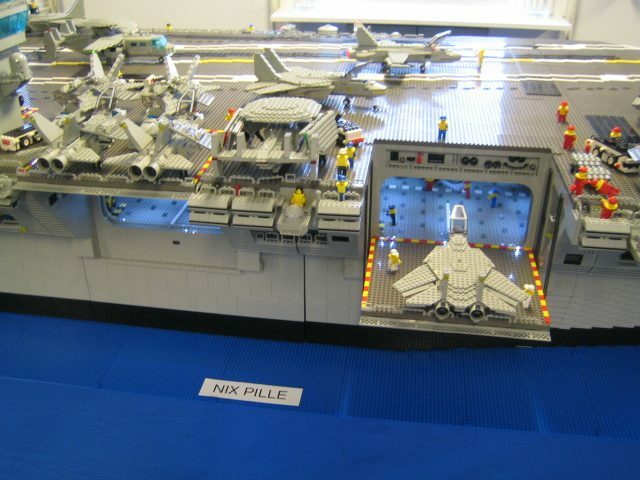 My friends and coworkers have been sending around e-mails with links to a site that has a few pictures of this huge ship, but doesn’t have much information — not even the name of the builder — so I did a bit of digging, found the builder on Brickshelf, and contacted him to find out a bit more about his massive project. Malle tells me that his LEGO Harry S. Truman is over 16 feet (5 meters) long and nearly 4 feet (1.2 meters) tall. Built from over 200,000 LEGO bricks, it weights over 350 pounds (160 kg). 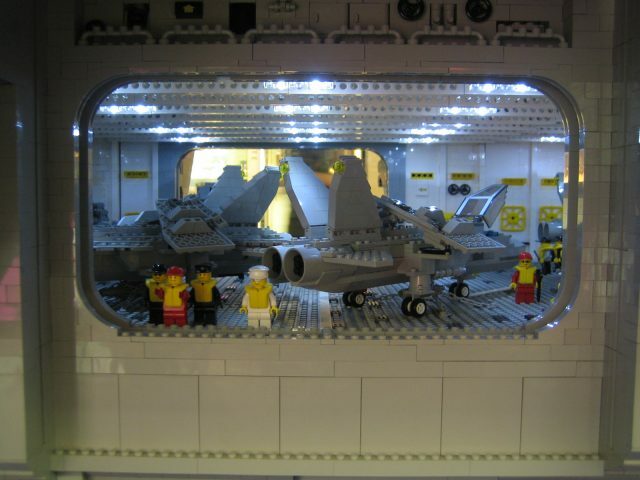 The ship has a hangar deck with several aircraft. The cost of such a huge investment in LEGO parts wasn’t cheap, running into five figures. The bridge stands above the flight deck, with more aircraft ready to be scrambled. 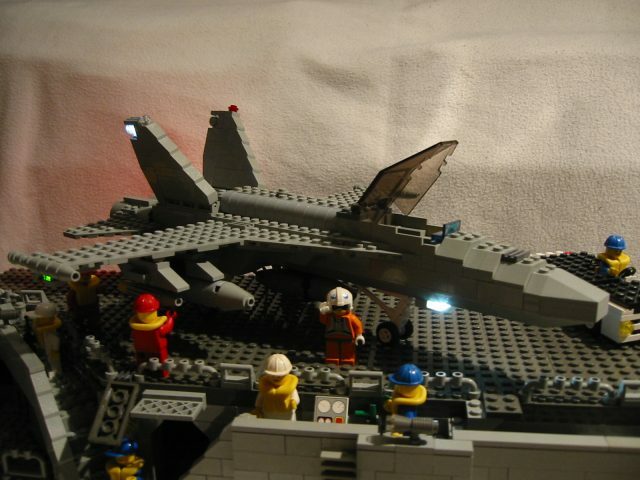 Built over the course of a year, the model also has a number of working features, including electric lights on the flight deck, in the hangar, and inside the aircraft, like this F/A-18 Hornet. 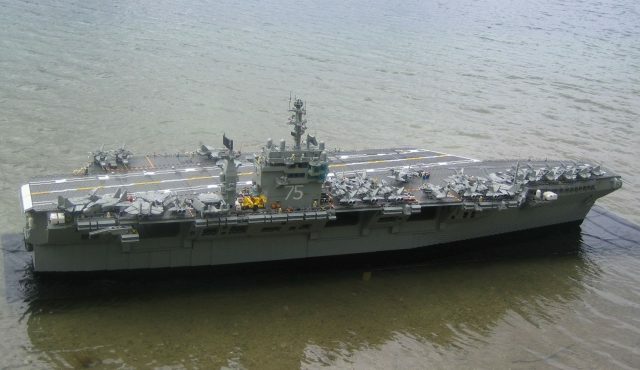 The aircraft carrier also has movable elevators and radar dishes, plus a motorized catapult! I dedicated it to the staff and families of the real “USS Harry S. Truman” and all the others who ever wanted to build one themselves. Be sure to check out the full gallery on Brickshelf. If this is just one more set of work-in-progress photos, I can’t wait to see the finished version! Keep up the good work, Malle, and thanks for the info! How did Malle Hawking build his aircraft carrier?